Who to thank? Moby himself - it's freely available. I'm not alone in having trouble sleeping. I actually find it quite easy to fall asleep but wake up after a few hours and struggle to get back off. My mind races with thoughts and stresses so I rely on distracting them. Comedy podcasts is my distraction of choice, but calming music will do. 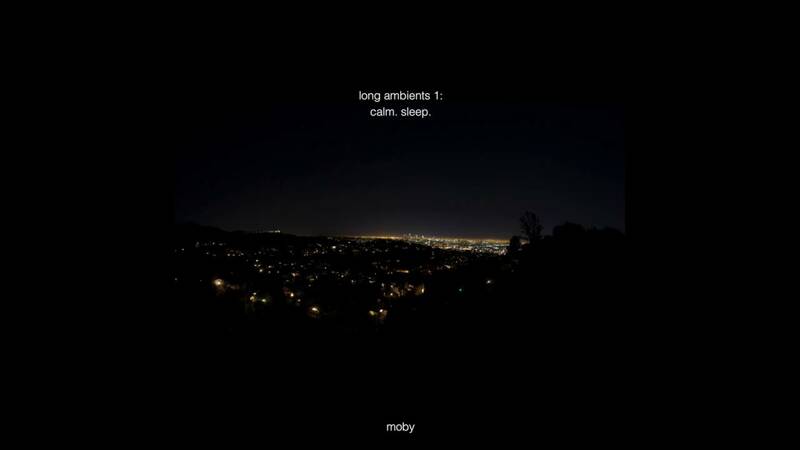 Moby, bless him, writes his own calming music. this is his own private soundtrack to sleep, meditation, yoga and calming down from panic attacks. Being a lovely chap he shares this for free with the world, and wouldn't it be nicer if everyone were a bit more relaxed? 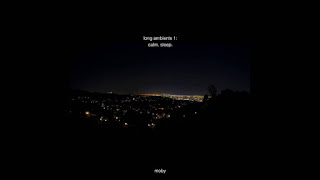 "Think electronic whale song and you're there - which is apt given Moby's name and ancestry." It's a big one too. 4 hours of solid music over 11 tracks. The shortest track is 17 minutes long and the longest a whopping 35 minutes. No singing, no percussions of any type, just chords. Think electronic whale song and you're there - which is apt given Moby's name and ancestry. There's not a vast difference between each track, that's not the point. This was written for a purpose, and it's not recommended to be listened to in the car. LA1 opens, obviously, and is where the whale song feeling came in. Just looooong chords, one after the other. LA4 is space. Vast, empty space. LA5 is someone sleeping on a church organ. Slow changing chords for 35 minutes. LA6 had me underwater, exploring caves. LA7 had me back at LA2, or one of those new age shops in the late eighties. LA8 is haunting, much more mysterious, the backing track to a video game where you creep around a house or space station waiting for things to jump out at you. LAs 9, 10 and 11 had nothing new. But you really should be asleep by now.